Don’t let the term tennis elbow fool you. You can still suffer from this issue even if you are not a tennis player. In fact, research has shown that only 1 out of 20 individuals with this condition actually play tennis. This condition comes from excessive use of the forearm muscles over time and most often occurs in adults between the ages of 40 and 60. This condition can become very painful if not treated. 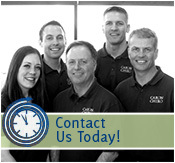 If you live in St. Paul, MN, and are looking for a rehabilitation facility to assist you with your tennis elbow, consider Caron Chiropractic Clinic, P.A. Thanks to our diverse background, we are able to offer a variety of treatments that may help your prognosis.